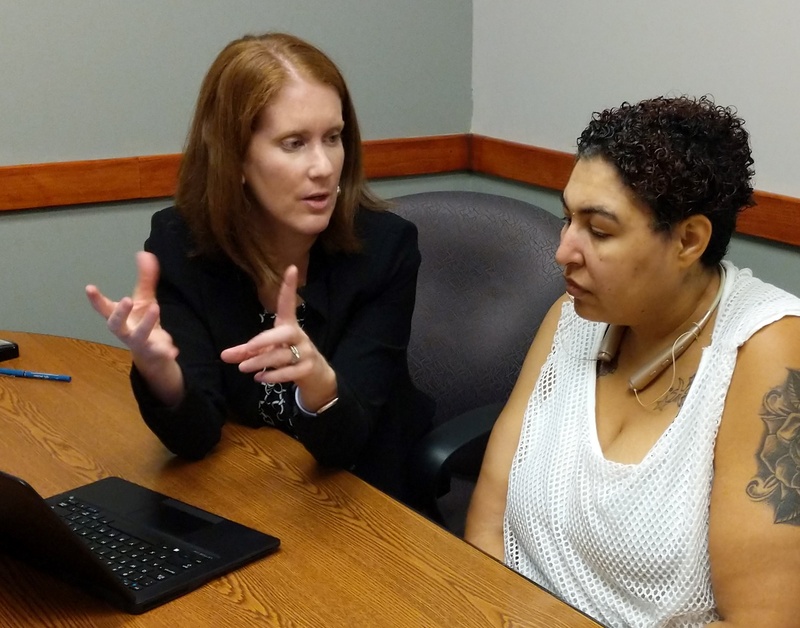 “What you’re doing for the community is amazing,” said one client at the recent Volunteer Lawyer’s Project Wills Clinic that assisted participants in the Kinship Navigator Program offered by the Butler County Educational Services Center in Hamilton. The Kinship program provides guidance and support to adult who are caring for a child other than their own on a full-time basis. Thank you to the nine attorneys and one law clerk from General Electric Aviation and four attorneys from Dinsmore & Shohl who volunteered, creating wills and advance directives. We also thank the Butler County Educational Services Center for partnering with us. Any attorneys interested in volunteering, click here to sign up! 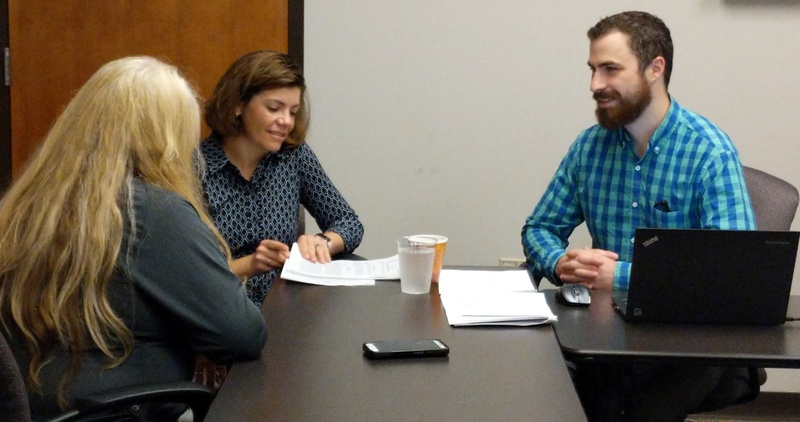 Photo on right: Bridget McGraw, attorney at GE, and Brett Taylor, law clerk at GE, assists a client. 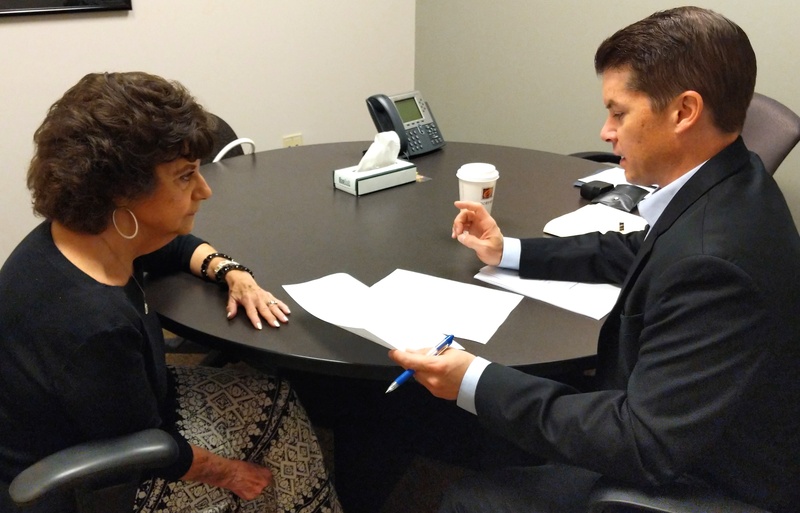 Eugene Droder, attorney at GE, assists a client. Kristin Lenhart, attorney at Dinsmore & Shohl, assists a client.